Welcome to Harold Liu's Website! I received my Ph.D. degree in Electrical Engineering in May 2010 at Imperial College, London, United Kingdom. Previously, I received my B.Eng. 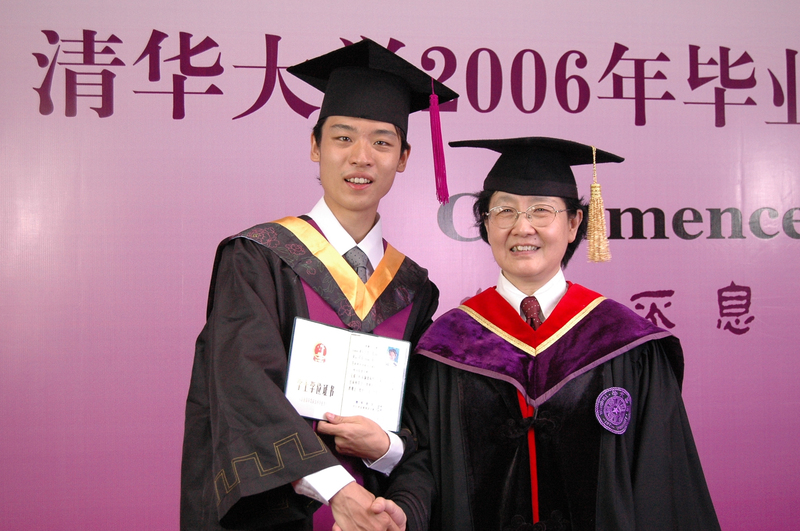 degree in the Department of Electronic Engineering at Tsinghua Univeristy, Beijing, China, 2006. My research has been generously funded by a departmental fellowship and several scholarships from a number of EU/UK/USA research projects. I have published more than twenty journal and conference papers, technical reports and deliverables, a list of which could be found here. Previously I have been involved in EU-FP6 MEMBRANE Project 2006-2008, and now I am officially with US Army-UK MoD ITA Project. A summary of participated research activities and contributions could be found here. I also spent a summer as a research intern at IBM's T. J. Watson Research Center in Hawthorne, USA. My supervisor is Prof. Kin K. Leung. I am also closely working with Dr. Thanos Gkelias and Dr. Erwu Liu at Imperial College, Dr. Pan Hui at Deutche Telekom Laboratories in Berlin, Dr. Chatschik Bisdikian, Dr. Joel Branch, Dr. Ting He, and Dr. Kang-Won Lee at IBM's T. J. Watson Research Center in Hawthorne. ACITA 2007, IEEE ISWPC 2008, IEEE Globecom 2008, IEEE IWCMC 2008, IEEE WiMob 2008, IEEE WCNC 2009, IEEE VTC-Spring 2009, IEEE VTC-Fall 2009, IEEE Globecom 2009, IEEE WCNC 2010, IEEE Infocom 2010, IEEE VTC-Spring 2010, IEEE VTC-Fall 2010, IEEE Trans. on Comm., IEEE Comm. Letter, IEEE Trans. on Wireless Comm., EUROSIP J. WCN, etc. I am alwaysinterested in new permanent job position in major telecommunications industries and research labs.